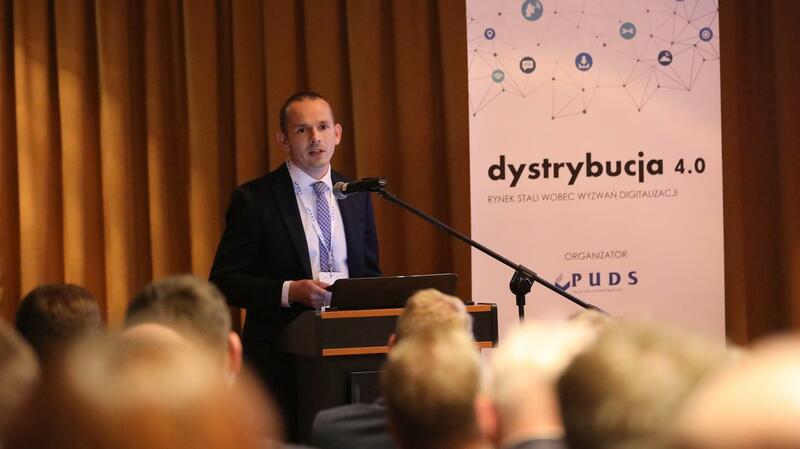 DISTRIBUTION 4.0. was the title of a conference convened by PUDS, the Polish Steel Distribution federation, in Warsaw on 30 October 2020. More than 100 participants had gathered to listen to the presentations of 8 speakers dealing with the many aspects of digitalization in steel distribution and steel service centers. The meeting was opened by Iwona Dybal, chairwoman of PUDS who set the frame of the conference by outlining the many challenges digitalization represents for the business of steel distribution. The present status of digitalization with steel producers was detailed by Maciej Kalbaczyk, Senior Manager McKinsey & Company Poland, including also a large view on the Klöckner strategy regarding digitalization and Industry 4.0. Tomasz Plaskura, CMO Region East, ARCELORMITTAL Europe gave a broad statement on how ARCELORMITTAL is enhancing visibibity, flexibility and transparency in its customer relations with the help of digital tools like STEEL USER and others. Georges Kirps, General Director of EUROMETAL, underlined the potential which digitalization is representing in order to optimize the combined complexities of customer segmentation, product portfolio, product availability and added value service offer. XOM Materials, with offices in Berlin, Duisburg and Atlanta, has opened an online platform open to all steel market players, which is now already used by a number of steel vendors. Tim Milde, CCO of XOM Materials presented the main features of this e-platform. Michal Jatczak from AON POLSKA, identified the potential cyber risks which might be facing companies and institutions in the wake of economy 4.0. The meeting was closed by an address of a representative of the Polish Ministry for Enterprises and Technology regarding governmental support in digital transition for Polish entrepreneurs. PUDS is planning to convene second edition of the event in mid 2019.